Family & friends are invited to attend Visiting Hours on Monday, August 20th from 9:00 a.m. to 10:30 a.m. in the Vertuccio & Smith, Home for Funerals, 773 Broadway (Route 107) REVERE for Mary F. “Molly” Boudette (Flaherty) who passed following a lengthy illness on Wednesday, August 15th, at the Chelsea Jewish Nursing Home. Following the visitation, the funeral mass will be celebrated in the Immaculate Conception Church (Corner of Beach St. & Winthrop Ave.) REVERE at 11:00 a.m. and immediately followed with interment at Woodlawn Cemetery, Everett. “Sweet Molly”, as she was affectionately known by her close family & extended family, was born & raised in East Boston and was an alumna of East Boston High School, Class of 1938. “Molly” worked for over 50 years as an executive secretary with Continental Insurance Company of Boston. She began working for Continental, soon after graduation in 1940 from Boston Classical School, retiring in 1990. She moved from East Boston to Revere over 60 years ago settling on Hall St. 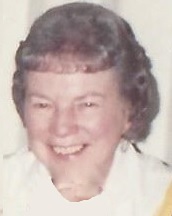 Her late husband, C. Robert “Bob” Boudette died in April of 2008. Monday, August 20th from 9:00 a.m. to 10:30 a.m.